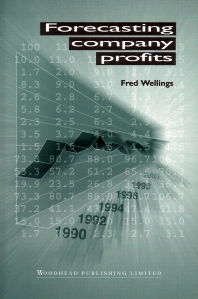 In the first book to look from a thoroughly practical perspective on the crucial business of profits forecasting, Fred Wellings provides an integrated approach to the theories which underpin the forecasting process. This approach also recognises the limitations faced by the outsider in the real world where both time and hard facts may be in equally short supply. It lays emphasis on the patterns of industrial and corporate behaviour and the forecaster's ability to recognise and anticipate these patterns. The first part of the book covers the industrial background within which the individual companies operate, and part two moves the forecaster on from the industry to the company. Part 1 The industry: The outsider’s challenge; Long term trends and the growth industry; Playing the cycle. Part 2 The company: Market share; Sources of information; The short term profits forecast; The long term profits forecast.